999,00 EUR 19 % VAT incl. Suggested retail price 1.949 Euro!!! The two-stage Cub Cadet snow throwers with wheel drive, heated bars, "Xtreme-Auger" and powerful OHV engines are particularly convenient and easy to handle. 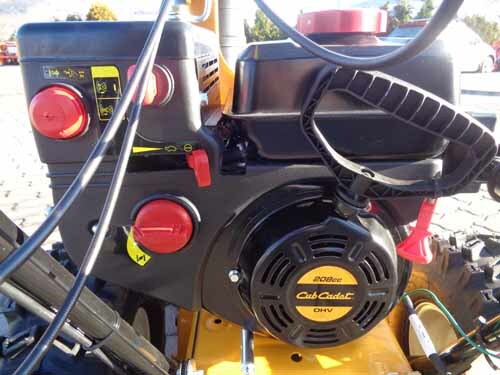 The CUB CADET auger feeds the snow back to the rotor, which ejects it (in two stages) through the discharge chute. 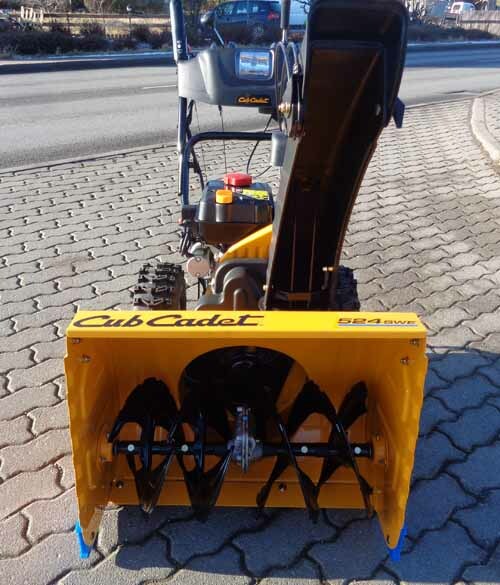 The wheel drive is independent, so that the Cub Cadet snow thrower keeps moving and clears snow constantly. 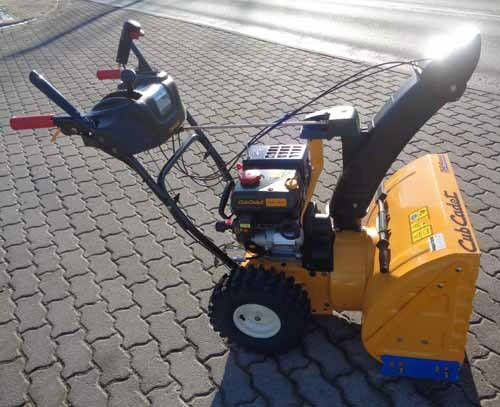 With the new CUB CADET 524HD SWE with new auger system and a clearing width of 61 cm and 4-speed Joy Stick, a large amount of snow can be cleared in a short time. 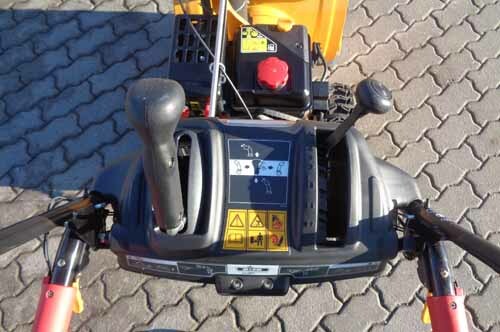 The snow thrower is equipped with a 230-V electric starter. Because this unit has a working light snow can be cleared safely and comfortably even in the dark! The "Xtreme-Auger" system ensures safety and a good clearance performance. The milling screw system drills itself into the snow with an Accelerator screw in the middle of the direction of travel. This is supported by two lateral screw elements, which lead the snow to the middle. The auger is fully ball beared - not slide beared! 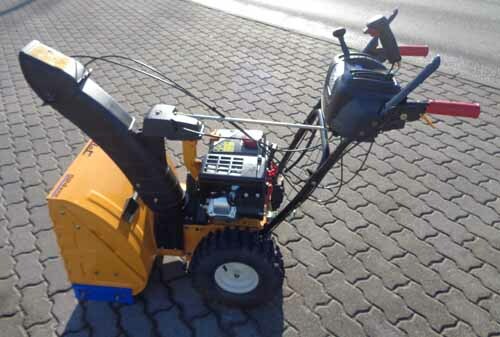 This snow thrower getting you through the winter! The separate wheel drive ensures independent propulsion. 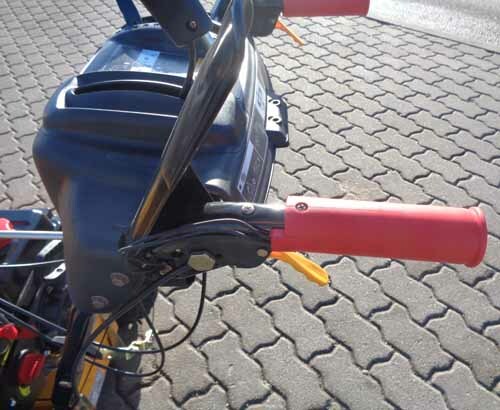 Thus, the clearance performance is not affected and causing best ejection performance. Wheels with deep-tread tyres made ​​of soft special rubber guarantees first-class moving and traction in normal terrain. thus one wheel is unlocked from the drive the other wheel drives - redirection easy! This is a durable, low-emission, easy-starting, smooth-WINTER - Engine. 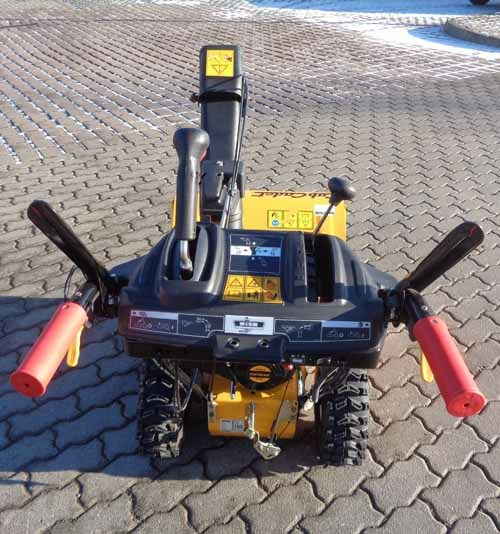 The snow blower can be operated via the handle easily - as well as the gears are switched.